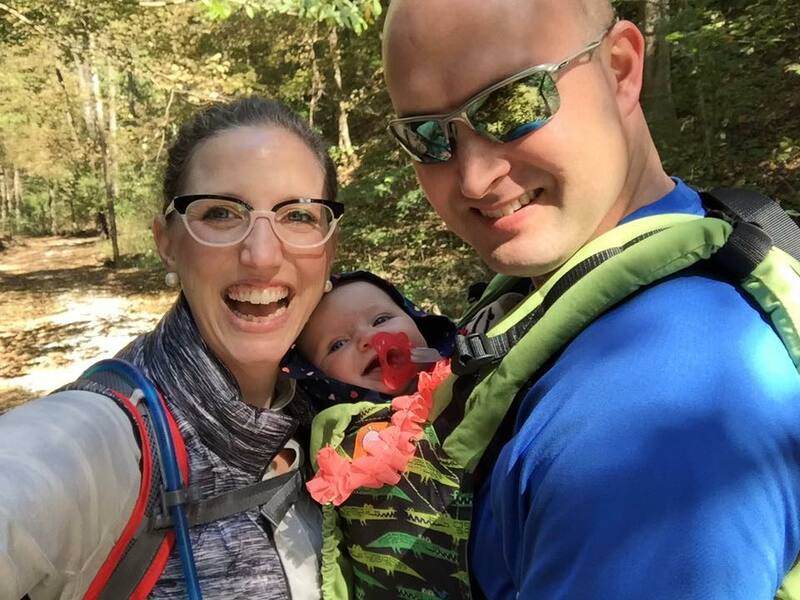 ← My Favorite Carrier For… Newborn Wearing! 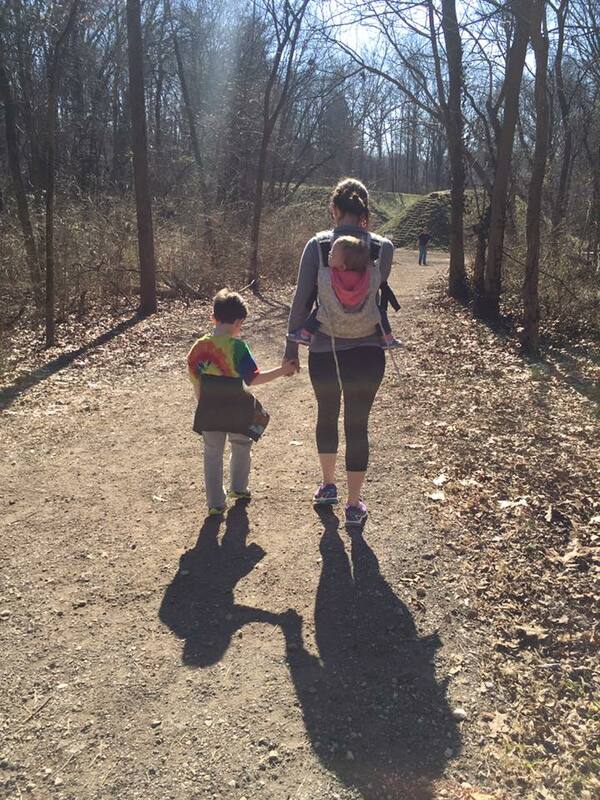 Thank you to Emily, a Volunteer Babywearing Educator and our chapter’s Education Chair, for these quick tips for babywearing as the weather (finally!!) cools down here in St. Louis! 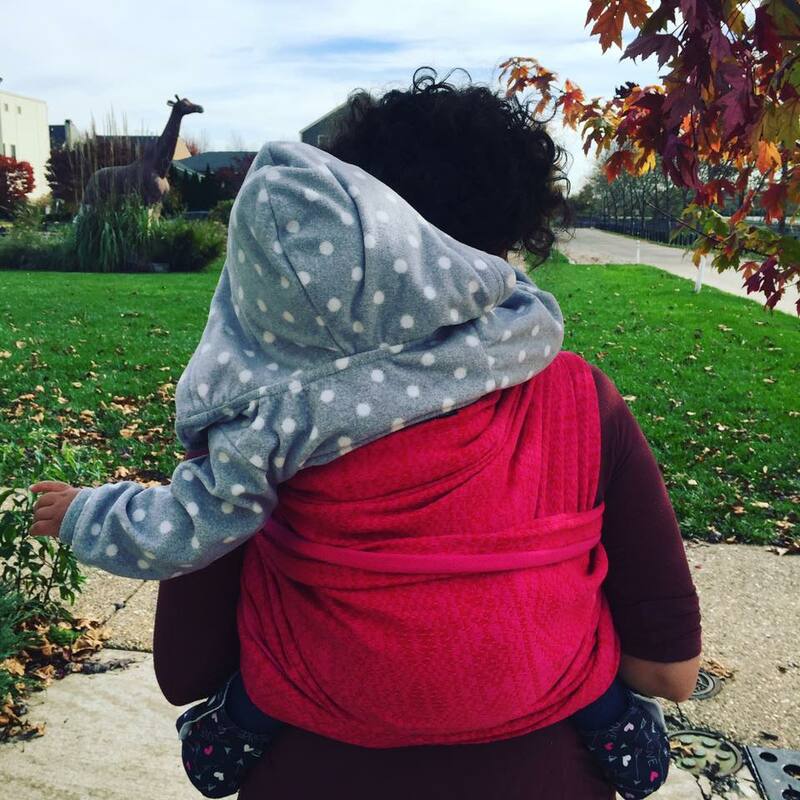 As fall approaches and the weather is cooling off in Saint Louis, we are starting to notice an increase in babywearing in our community. 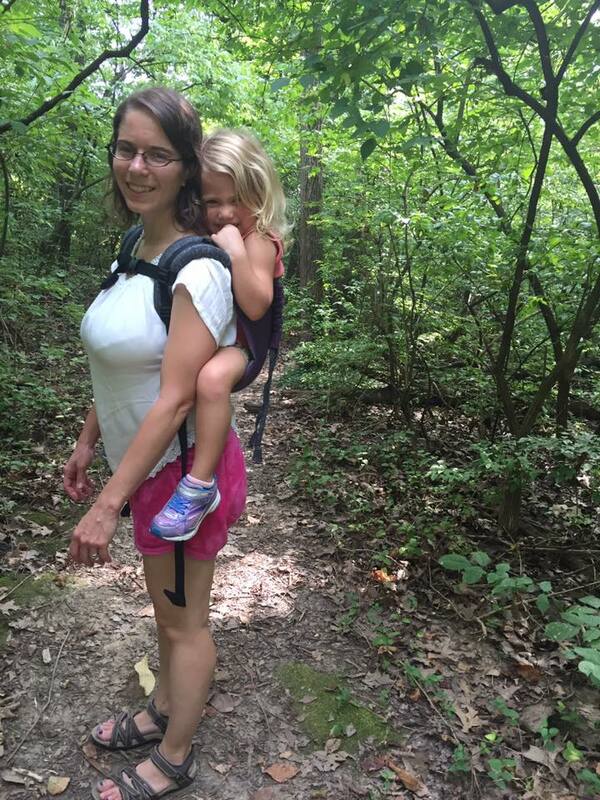 Gone (mostly) are the days of sweaty and tiny humans strapped to their sweaty and hot caregivers. Here to be replaced by warm snuggly babies welcomed into their caregiver’s arms (and carriers) on cool fall days. And we also know that fall is a busy and active time in Saint Louis with many fall festivals and other fun activities to attend, and we wanted to remind everyone how to wear and be active safely. The ABCs are a great place to start! 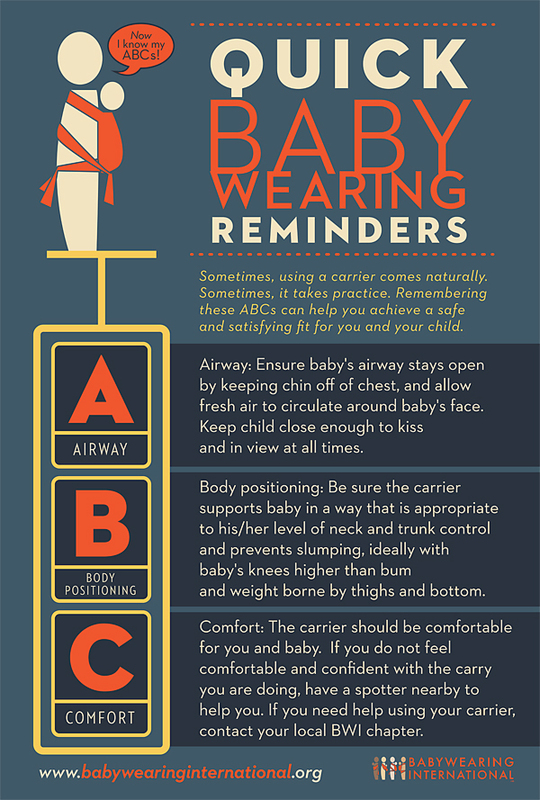 Always remember to ensure baby has an open Airway and that you can get two fingers between their chin and chest to ensure they can breath properly (this is always true but is especially important with tiny babies who lack head control). Make sure baby is able to obtain a good Body position, with their whole spine supported and their legs in the ergonomic “m” position with their knees higher than their hips. 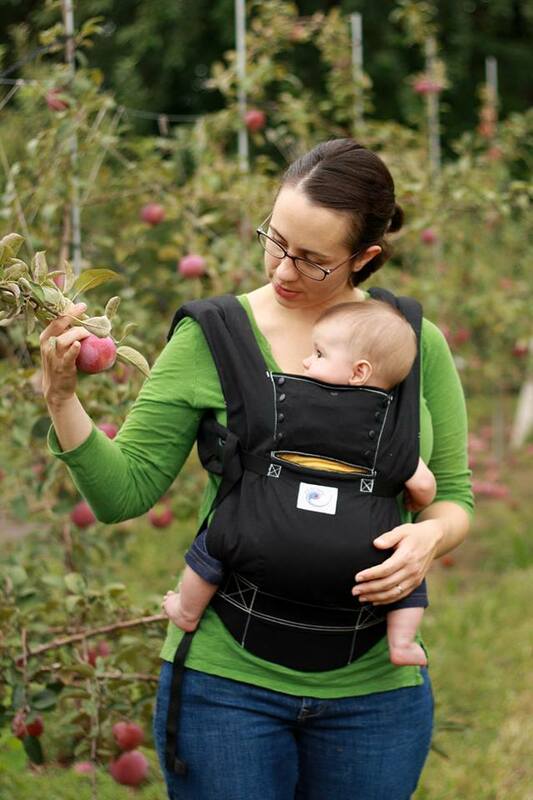 And make sure baby and caregiver are Comfortable in whatever carrier you are using. Their is no magic “best” carrier, just the one that works best for you and baby! 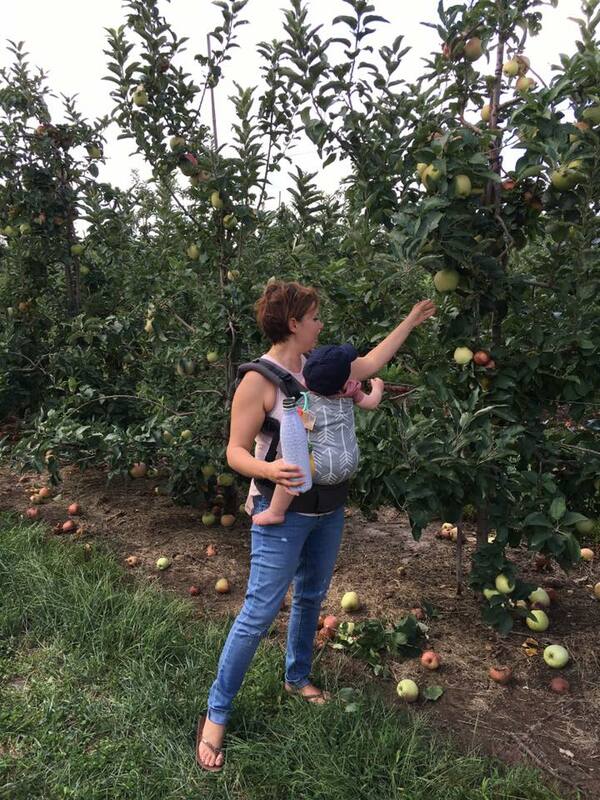 Also remember that not all activities are safe babywearing activities. If you wouldn’t feel comfortable with baby in arms, you probably don’t want to wear baby during the activity. Activities we don’t recommend you do while wearing include riding a bike or horse, running, and anything that requires safety equipment for yourself such as a helmet or safety goggles. If you are questioning the safety of a particular activity, listen to your instincts! Please do keep temperature in mind as well! These September and October days are especially tricky as there can be quite a bit of temperature change on any given day. Dress baby in light layers that are easy to remove or add as needed. When it is on the warmer side, monitor baby for signs of overheating (skin becomes warm or flushed, especially head and torso, baby gets upset/cranky). And as it gets cooler, keep a baby hat and socks available, and/or a light blanket you can drape over baby in the carrier; little fingers and toes tend to get chilly so keep them covered if you can. 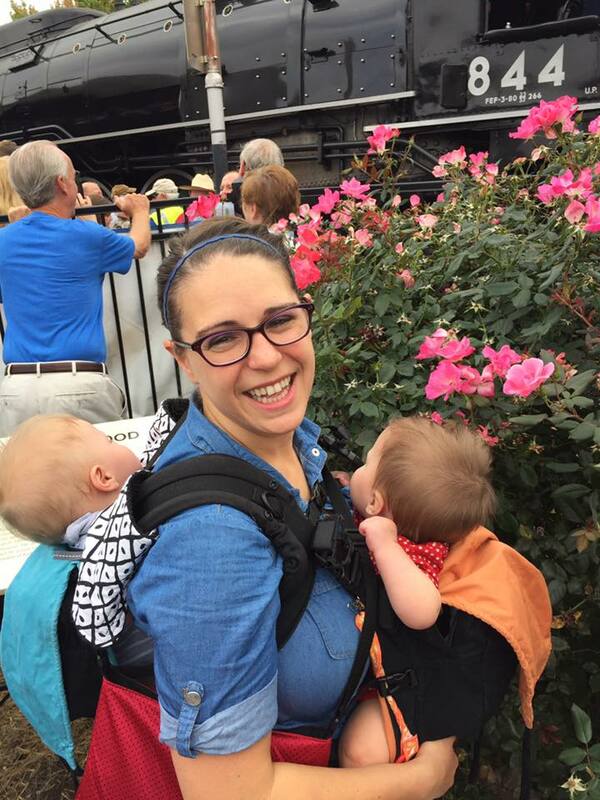 Finally, as babywearing ramps up for fall, remember that BWI of STL Gateway volunteers are here to help! 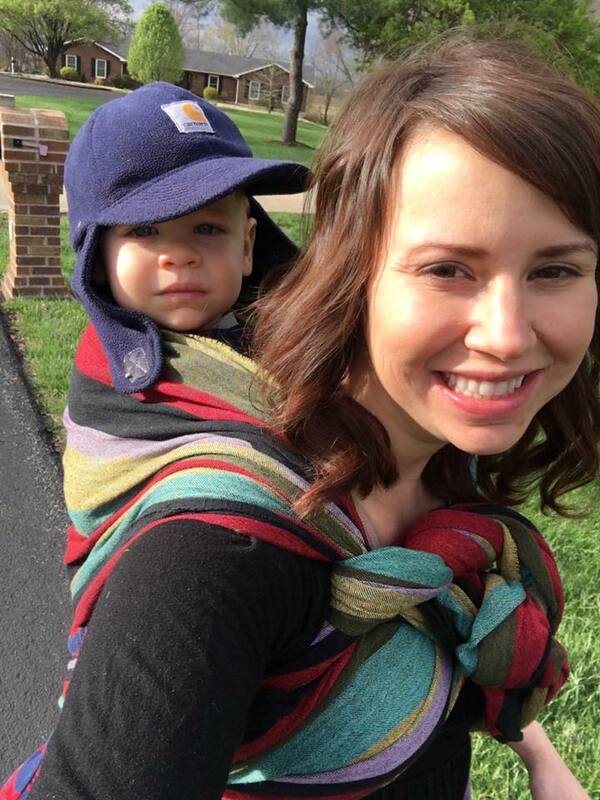 We have 5 free monthly meetings in the Saint Louis Metro area that are open to the public, and we love helping caregivers wear their babies comfortably and safely! We also have a Facebook group where you can seek support and advice. And if you choose to support us with a $30 annual membership (scholarships available), you can borrow carriers in between meetings which is a great way to explore all the carriers to find out what works best for you and baby! And many thanks to the volunteers and members who provided photos to accompany this post – you all are so beautiful!